North Korea Nuclear Threats Don’t Deter Foreign Tour Groups, But Is Their Presence Ethical? North Korea may be threatening the U.S. with nuclear war, but the news hasn’t stopped several American tourists from visiting on packaged tours. The North Korean army may be threatening the United States with nuclear war, but that hasn’t stopped several American tourists from entering the hermetic nation on packaged tours. Christopher White, travel director of China-based Young Pioneer Tours, said eight Americans are currently touring North Korea. White said that, while there had been some cancelations, Young Pioneer Tours will send 100 people into North Korea this month and a total of 1,000 people this year, twice as much as in 2012. He said what’s happening right now “is a big smokestack” and that the organization would not cancel a trip unless they were told they were not allowed to go in. Nick Bonner, who has taken tour groups into North Korea with Koryo Tours since 1989, said his company also has eight Americans in the country right now. He said Koryo Tours would not cancel trips unless it received specific advice to do so from the UK, Swedish or German Embassy in North Korea. “They often have rhetoric against U.S. and South Korea, and whilst it is more heightened, it is aimed at government not at tourists who bother to travel to Korea,” Bonner noted. Safety concerns aside, some critics question the ethics of visiting North Korea in the first place. Koryo Tours has produced three documentaries on North Korea, brought in numerous school groups and conducted several sports exchanges that Bonner believes expose North Koreans to foreigners not just in Pyongyang, but around the country. 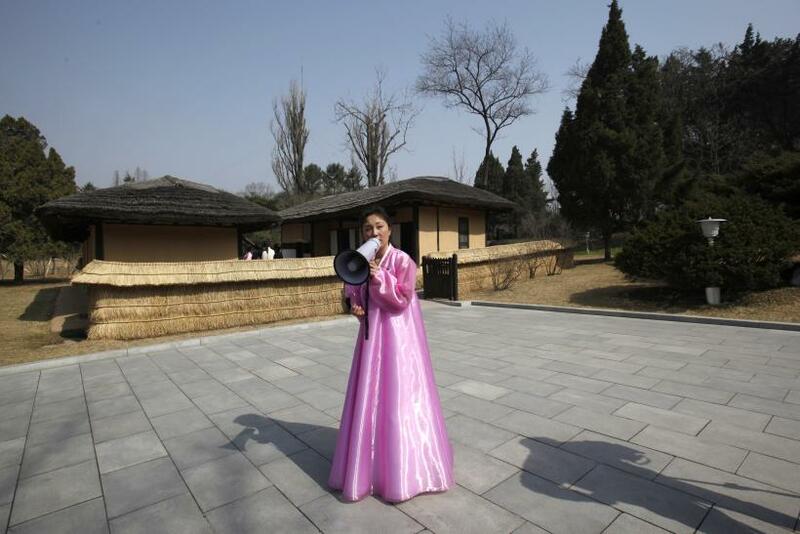 Kirkpatrick said foreigners interested in speaking with ordinary North Koreans would have better luck doing so in northeast China, where many North Koreans flee and can speak more openly about the country. Moreover, Kirkpatrick noted that tourism is one of the regime’s few legitimate sources of foreign currency. White of Young Pioneer Tours declined to speculate on where the money goes. Bonner of Koryo Tours, meanwhile, insinuated that most of the money goes toward training local guides, drivers, hotel staff and restaurant workers. Despite lengthy travel warnings from most Western nations, state media outlet Korea Central News Agency recently ran a series of reports claiming that North Korea was experiencing and unprecedented surge in visitor applications. Last year, approximately 4,000 Westerners and 20,000 Chinese visited the nation. Most Chinese came in for trips 24 hours or less, while most Westerners came in with groups like Young Pioneer Tours or Koryo Tours. In response to a perceived increase in interest, the state airline, Air Koryo, added two additional flights per week between Beijing and Pyongyang this month. The government also expanded its railway timetable and added faster trains between the Chinese border and the North Korean capital.